If there's a massive Love Island shaped hole in your heart since the series came to an end last month, well it looks like you could be in for a massive treat. 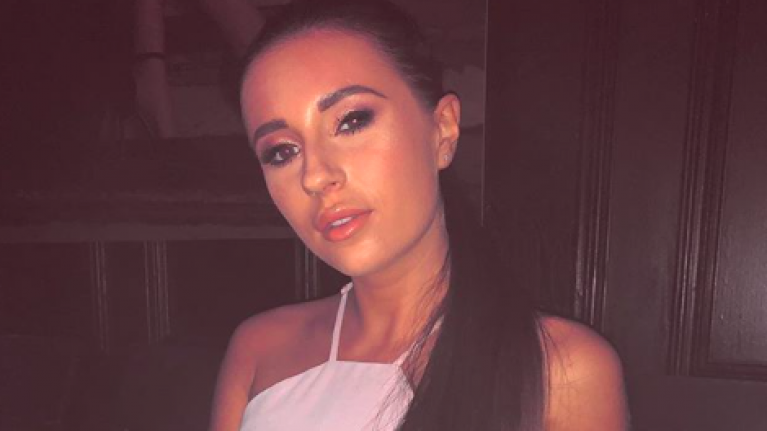 Yep, Dani Dyer could be getting her own TV show which features not just her other half and fellow Love Islander, Jack Fincham, BUT, also her dad, Danny Dyer. Speaking on Capital Breakfast yesterday morning with Roman Kemp, the star revealed that there's is talks about a show coming as soon as early 2019. Eeeek. "There's been talks about it, but we're gonna see. You know, it's one of them things that's just like once you commit, you commit." Continuing, the 23-year-old revealed that there's a lot of plans on the table and that IF they agree to do the show, it will be family based. This could mean Dani's parents alongside her grandad, Bruv, who won our hearts when he made a brief appearance in the villa, could be in the show too! Danny Dyer also revealed earlier this month that he'd be up for doing a reality TV show for "the right money". Can you imagine how good this would be? We can see it packed full of iconic moments like that time on Love Island when Jack and Dani were fighting to which she then made the rash decision to go home and then, beau, Jack asked: "What time's your flight?" Dani: I’m going home tomorrow. Jack: What time is your flight. We hope this becomes reality. Literally.